In light of today’s federal and state income tax environment, those living in high income tax states, like New Jersey, are always looking for options to understand and mitigate risk exposure. 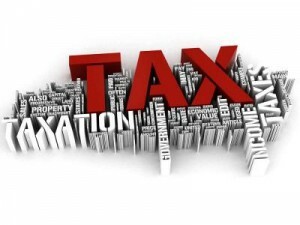 In the event that you are influenced by a state income tax, the hit can be substantial. Knowing how to use current strategies is highly valuable for anyone in this situation. The IRS has recently made it a little easier to mitigate such risks through the use of a DING Trust, which stands for Delaware Incomplete Non-Grantor trust. In a DING trust, a person can transfer assets are produce high levels of income into a trust. This transfer doesn’t trigger federal or state gift taxes but it also minimizes the exposure to state income tax. The purpose of such a trust is to transfer these assets into a bucket in a state without trust income taxes, like Alaska, Nevada, and Delaware. This particular kind of trust is best used with someone who maintains high levels of income generating portfolios. For New Jersey individuals in this situation, it’s important to note than an investment portfolio held inside a DING trust is exempt under the state and local income tax so long as the trustee is not a resident of the state of New Jersey. Alongside other estate planning strategies to reduce the overall taxable estate, the DING trust is most appealing to New Jersey residents concerned about the influence of the state income tax. To get started with DING trust planning, contact us through email at info@lawesq.net or contact us via phone at 732-521-9455 to get started.